Every programmer has a favorite programming language. However, as Andreas Stefik explains, there is almost no rigorous science on how programming language design impacts people. Andreas gives a great history of evidence gathering in other fields and talks about how he is applying those same principles in the design of his “evidence-oriented” language Quorum. One of the loveliest talks at the conference. Christopher Ford explains the nature of Kolmogorov complexity, how it leads to deeper understanding of a concept, and juxtaposes that against live generation of music with Clojure. Ines Sombra gives an energetic presentation on designing systems for resiliency. She provides several examples of common failure scenarios in large scale deployments and showcases some of the ways that she has solved these failures. It’s a rapid fire talk that is filled with humor and tons of detailed information pulled from Ines’s research and experience. Martin Klappmann gives a very comprehensive breakdown of ACID transactions and serializability. He also explains many of the common issues with transactions and their implications in application design and microservices. A very detailed look at utilizing CRDTs and eventual consistency in applications. Christopher Meiklejohn gives some great details about new ways to think about data flow problems in distributed systems and showcases some practical applications for CRDTs. It’s a technical talk but is still accessible to those who are new to the world of distributed systems and concurrent programming. With delightful hand drawn slides and actual string examples, Kay Ye gives an introduction to Knot Theory; which is itself a delightful mix of pure mathematics and everyday concepts. She discusses the different ways knots have been notated and how they have affected the problems mathematicians have been able to solve. Our favorite part is her description of John Conway’s beautiful results in the field. Idalin Bobé’s talk struck a chord with all of us. The story of her personally journey into the tech industry and her experience with Hands Up United was deeply moving and inspiring. 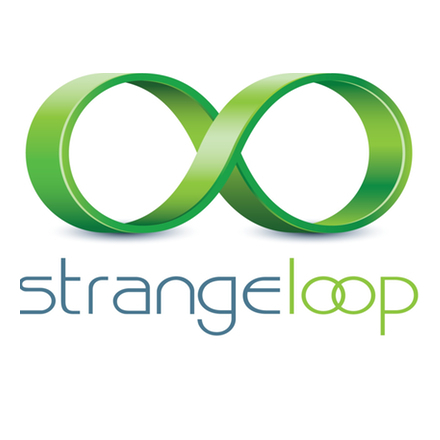 It was excellent to see such an important topic being discussed at Strange Loop. Strange Loop was jammed full of great speakers, content, and discussion. Hope to see you there next year!